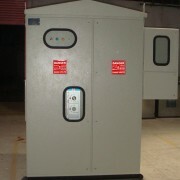 We are also providing Substation equipments for all types of industries with high standards all over the world. Quality has been one of the main motives of our organization, since it was established. We aim to attain this objective by offering our clients with quality range of Electrical Products. Owing to the superior quality of our products, we have received Quality Management Certificate for ISO 9001:2008 Certification in the year 2015 from TUV – Germany. Our range of products is manufactured and supplied using superior quality components and material, which are procured from reputed vendors. 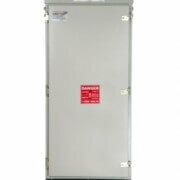 Substation equipments products are tested by our quality controllers at every stage of production process. We have standard products to meet the immediate customer requirements as well as products as per customer requirements, we are specialized in developing customer theme based distribution boxes to provide complete customer satisfaction. SAFVOLT has vast experience in conducting research activities based on which we have designed and developed electrical enclosure product line to suit the customer’s theme. Our experience helps us to contribute in the form of new ideas which will save cost, space and material which in turn make the customer competitive in the market. 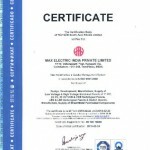 The company manufactures the Electrical Switch gear products with the range of 11kV, 22kV, 33kV Vacuum circuit breakers Panels , Indoor & Outdoor Panels , etc., and By implementing the best preventive practices at all levels, we believe in providing world class deliverables with systematic research and compliance with customer commitments. Our projects start after extensive planning and preventive backup ups. Contact us at the Safvolt office nearest to you or submit a business inquiry online.